A complete barcode system will consist of software, scanners, a printer or labeler and labels for thermo transfer or thermo direct printing. Also of interest are mobile terminals for mobile data acquisition with a built-in scanner or reader, a display and a keyboard. A POS (point of sale) solution will require laser barcode scanners with high throughput and automatic triggering for hands-free barcode scanning. Point of sales are created with special software. While barcode software for Microsoft Windows is available, best suited for barcode creation are Apple Macintosh computers. Macs are preferable due to their strong position in the DTP, prepress and graphics market segment. A typical barcode software will support the common symbologies, calculate checksums automatically and will provide a variety of output options with support for the most common images formats (like PNG, TIFF or JPG) and also for Post Script or EPS. A cheap alternative to dedicated barcode generators are so called barcode fonts. However, the quality a barcode created with such a font will usually not conform to the respective standards. Depending on the application the use of dedicated, barcode enabled, label printing software may be advised. For example, such software can be used to print sequential barcodes (for serial numbers) or print logos or product images next to the actual barcode. 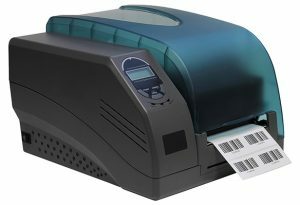 Barcode Scanners, also known as barcode readers exist in various forms: The most common type are laser scanners. Here a moving laser beam scans the code which results in fast and error free reading. A cheap alternative to laser scanners are CCD scanners that feature a row of light emitting diodes and photo detectors. The earliest type of barcode reader where so called barcode wands, also known a magic wands. Here a single light emitting diode (LED) and a single photo detector are used to detect the typical black and white pattern of a barcode. While laser and CCD barcode scanners scan a barcode as a whole the barcode wand has to be swiped across the code to read it. Barcode printers are used to print the barcode on self adhesive labels. Today most barcode label printers work in either thermo direct or thermo transfer mode. Using the thermo direct principle the print head applies heat to selected parts of the label which then turn dark. This is the same principle as is used with older fax machines. Thermo direct labels are sensitive to light and should not be used if they have to last longer than a few days or weeks. Typical applications are address labels which only have to last a few days. With thermo transfer printers a heat sensitive ribbon (thermo transfer ribbon) sits between the print head and the label. As heat is applied to the ribbon, ink transfers (hence the name) from the ribbon to the label. Labels that were printed with thermo transfer are very durable. However, besides the actual label the transfer ribbon is another consumable which will increase the printing cost. 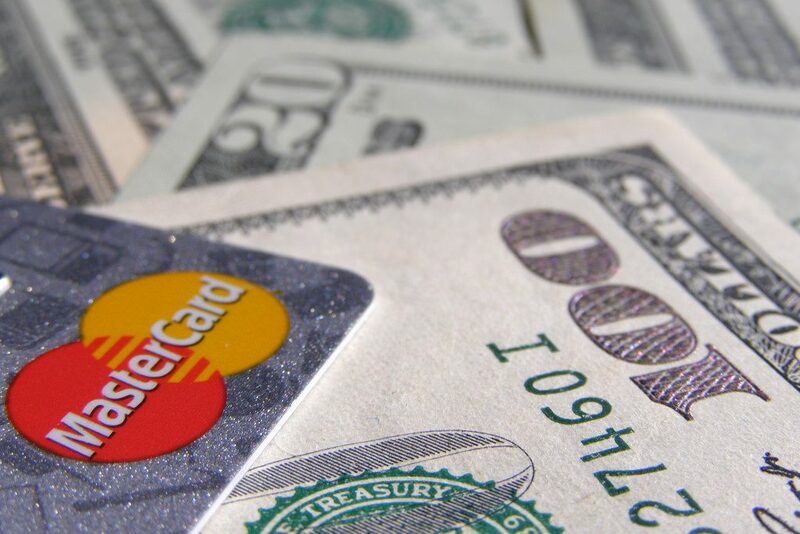 What Are Credit Card Processing Services? Card processing services or merchant services as they are known is the process that handles electronic payment made by customers to business. 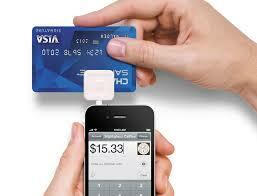 It allows a business to accept payments from a debit or credit card that has been authorized by a bank. In these modern times, people and companies are using cash less frequently for various reasons, namely not having walk around with large sums of money to make big purchases and the convenience of swiping and paying later. Payment for online shopping through websites is also facilitated by card processing services. These services also record useful information about a company’s weekly and monthly transactions which can influence future business decisions. Why Should Merchants Have This Service? There are several reasons why merchants should invest in card processing services for their company. For one, many persons do not walk with cash on them, but they will always have their debit or credit card. It is discouraging for customers to walk into a store to hear ‘cash or check only.’ That is a potential sale which the company has lost because of a lack of modern payment facilities. What Are The Different Types of Services Offered to Merchants? Merchant processing services can be access in four main ways: online, through a point of sale terminal, mobile POS and manual transactions. The online service is used via websites, which usually have a ‘shopping cart’ feature. This alerts the customers that the site has e-commerce capabilities. Persons can use third party sites to make purchases while securing their credit card information from falling into the wrong hands. 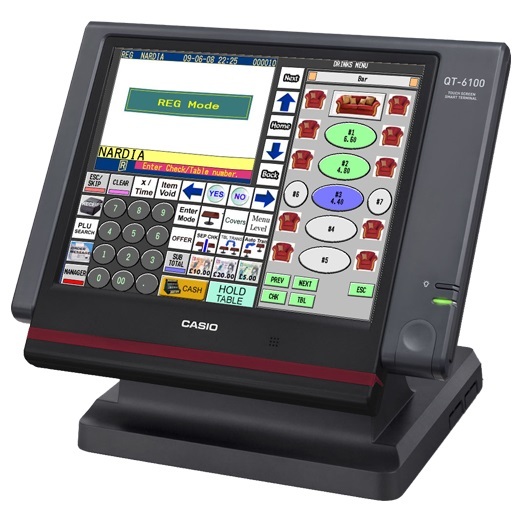 The point of sale or terminals are used in the store where the customer can swipe or tap their card. The terminal is connected to a cash register and records the transaction. This is good for older businesses that don’t have an online presence. The terminal is connected to a phone line which transmits the information to the bank. With mobile terminals, the point of sale is usually connected to an application on a mobile device that allows persons to take off-site payments. This is useful for companies who make deliveries where the point of sale in the store cannot be used. The manual card processing service is the most basic form, where a scan is taken of the customer’s card. This is usually done when the merchant doesn’t have the facilities to swipe, and the customer’s information has to be keyed into the system. This form of payment is not recommended for companies that receive a large volume of business via cards as it is a tedious process. How Does Card Processing Services Work? From the time the customer swipes his or her card to make a purchase; there are a series of steps which occur before the transaction can be considered complete. The first step is swiping the card of course, after that there are a few ways the merchant’s bank can receive the funds from the customer’s bank. It can be transmitted via the phone line or internet connection to the bank where they contact the credit card company for approval. Once the approval is given, the customer’s bank is contacted to issue the payment. Once the transaction has been authorized the payment is sent through. With a debit card, the money is deducted from the customer’s saving account, however with a credit card the customer receives a bill of their monthly transactions which must be settled by a certain date. What Benefits Do Customer Get From Card Processing Services? Card processing companies have found innovative ways to encourage people to sign up and use their cards. Waiving the sign-up fee, giving cashback, air miles and points for spending a certain amount are some of the incentives given by companies. Depending on the company, different cards have different benefits such as senior discounts, student discounts, and veteran discounts. The first and most obvious benefit of using a card, however, is the ease of convenience. Customers can shop comfortably without having to constantly worry about losing cash, receiving counterfeit cash in store transactions or losing your money in a mugging or robbery. They are many benefits for a company that utilizes the card processing services. Persons like to use their cards and look for businesses who accept cards. Having these facilities makes your business look professional in the eyes of the customer, and it increases sales. Your company also becomes more competitive as having these services encourages customers to spend more than they originally planned. It can also improve your company’s cash flow and security because payments are made directly into the company’s account leaving very little cash if a robbery occurs. Likewise, with a check the merchant is taking a chance, hoping the customer has money on their account. This isn’t a problem with debit and credit cards as they cannot bounce. Finally, setting up a point of sale system is quick and easy, and training employees are very basic. As with any service, there are costs attached to a card processing service. The company has the option of passing on this cost to the customer by increasing their prices, but this can discourage persons who are accustomed to one price. Another disadvantage of merchant services is the threat of fraud and identity theft. The internet is constantly plagued with dishonest persons who steal credit card information and make online purchases. To rectify such transactions put the company in a compromised position.